Call Us Today: (02) 8090 1105 or e-mail info@mysmilecosmeticdentistry.com.au or visit us at Level 3, Suite 302/70 Pitt St, Sydney NSW 2000, Australia. Straight teeth are not only more aesthetically pleasing but also allow for easier access and a more thorough clean in your daily hygiene routine, for those looking for an orthodontic solution without the noticeable apparatus involved in traditional dental braces Invisalign is a fantastic discrete alternative. Here at Sydney Dental Veneers, we can provide a range of these Invisalign treatment packages from as little as $3700. The dentist will be able to advise you in a consultation as to which package would provide the best results for you. A retaining appliance is required following all orthodontic treatment to prevent the teeth from relapsing into a misaligned position. Retainer options include fixed orthodontic retainer cemented to the back of the teeth or removable retainer that is worn nightly. 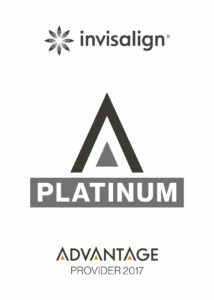 4) Comprehensive Package: Unlimited aligners within 5 years of treatment time. $7190. Express package (limited to 7 aligners) is an entry level Invisalign Treatment that has all the bells and whistles of standard Invisalign technology, but is limited to treating very minor relapse cases. This is recommended only after consultation with our dentists. Removable Vivera Retainer (TM) from Invisalign is recommended after treatment, and is an additional cost of $300 for 3 sets. This is cost price and no added dentist fees applied. *Offer subject to change without notice. 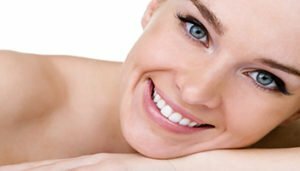 To take advantage of this website offer, you need to mention it at the time you book your appointment with us at Sydney Dental Veneers. Call Us Today: (02) 8090 1105 or e-mail info@mysmilecosmeticdentistry.com.au or visit us at Level 3, suite 302/70 Pitt St, Sydney NSW 2060, Australia. My Smile Cosmetic Dentistry is only 2 minutes away from State Library of New South Wales. For driving directions, Head north on Macquarie St toward Hunter St and turn left onto Hunter St then another left onto Pitt St. You will find our dentistry on the left side of the road. That’s it.